When a driver is stopped and arrested for driving while intoxicated in New Jersey, after the initial fear and shock at the fact that a normal law-abiding citizen is being arrested, other issues will go through his or her mind. First there are the ramifications for a conviction. If a driver is stopped and registers 0.08% or above on the breathalyzer test, there will be an arrest for DWI. This applies to drivers over the age of 21. Those under 21 will be charged if they register 0.01%. Commercial drivers will be charged if they register 0.04%. Along with these charges come penalties that are, at best, inconvenient and expensive. Drivers who are convicted for a first offense DWI will have to pay fines, surcharges, other fees, have raised insurance rates, will lose their driver’s license for three months and could be sentenced to jail. If the person needs the vehicle for work or can’t afford to miss work, they could wind up losing their jobs. With higher BAC levels and subsequent arrests, the penalties grow much worse. Drivers need to hire a qualified attorney to help defend them against these charges and possibly win an acquittal. Some attorneys charge a flat fee for DWI cases. Others charge by the hour. Some are more expensive than others. In some instances, people even shun hiring an attorney entirely and decide to represent themselves. Those who base their hiring on someone cheaper or try to defend themselves almost invariably learn what a legal mistake it was. 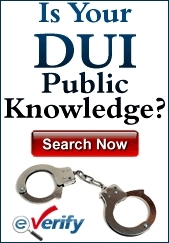 Hiring cheap DWI lawyers in New Jersey can end up costing more in the long run. The first question many people ask an attorney when they speak to him or her about providing representation is often, “How much will it cost?” An attorney will frequently tell the potential client the fees. Some clients might recoil at the amount that is quoted and immediately go search for another attorney who will work much cheaper. 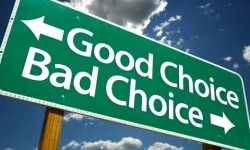 While it doesn’t necessarily mean that an inexpensive lawyer is less qualified, there is also the old adage of “you get what you pay for.” If you hire super cheap, you generally get super cheap with a DWI mill attorney firm that won’t have your best interests in mind and will provide a defense that doesn’t delve deeply into the case to find a way to win an acquittal. It is almost as bad as representing yourself in a DWI case. For example, if an attorney has a vast number of DWI cases, it might be harder to go through the entirety of one case with the thoroughness that can find mistakes that were made and could warrant the charges being dropped. If the field sobriety tests were conducted unfairly on uneven ground, that could be the basis to throw them out of court. If the officer stopped the vehicle without proper justification for doing so, then this too can mean the charges are invalid. The breathalyzer machine must be properly calibrated and the officer giving the test must be properly certified to give it. There are many small details that, if they’re not followed, could lead to the charges not being valid. An attorney who is digging deeply into your case is more likely to find them and this is usually done by an attorney who is being paid fair market value for services. A good lawyer can also help defend you against costly personal lawsuits if you were involved in a multi car accident. When convicted of a DWI, the fees add up very quickly. For the first offense mentioned earlier with a BAC of 0.08%, the driver will lose his or her driver’s license for three months. There will be a fine of between $250 and $400. The Intoxicated Driver Resource Center (IDRC) will cost $230. There will be $100 to each of the drunk driving fund and the Alcohol Education and Rehabilitation Fund (AERF). You will pay $1,000 per year for three years in surcharges. You will pay $75 to the Neighborhood Services Fund. You might be imprisoned for 30 days. Count that up and you get, at the minimum, nearly $4,000. Then add in the possibility of jail time and missed work, plus the other costs and the amount of money it would have been to hire a better lawyer than the one who did you no good at all might not seem like that much. Hiring a lawyer who can help you win an acquittal and save you all of these fees and ancillary costs is probably worth it. Naturally, there is no guarantee that even the best lawyer in the world will be able to secure an acquittal. But you’ll have a much better chance if it’s someone who is simply going through the motions and trying to accumulate money with a larger pool of clients than someone who has the reputation and experience to search for ways to win your case and get you acquitted.